You know when you’re watching a movie and a really emotive instrumental song plays during a particularly tense part? That was probably a post rock song. Those of you who have seen the iconic Friday Night Lights will remember the soundtrack; the one that almost brought you to tears as the events of the Texan high school’s football season unfurled. That soundtrack was composed entirely by Explosions in the Sky, one of the most popular bands associated with the genre. A quick Google search on the origins of post rock doesn’t uncover much about where it came from. When was it being played? Did Velvet Underground play it first? (God knows they tried everything). It’s hard to say for sure, but if you start trying to connect dots you’ll probably end up with mess of lines that never quite make sense. That’s sub genres for you though! The term ‘post rock’ was coined by journalist Simon Reynolds in 1994 within the pages of Mojo, who said that it is “using rock instrumentation for non-rock purposes, using guitars as facilitators of timbre and textures rather than riffs and power chords”. This description is probably the most accurate, although you can’t apply just one definition to a genre. When you listen to music, many relate to the lyrics. Many post rock bands don’t use lyrics but still manage to convey emotion and evoke feelings internally. For example, think of classical music. It uses a wide range of different instruments that all combine to create a cacophonous sound, one that’ll probably send a shiver down your spine and have you contemplating your life a little bit. Post rock combines multiple guitars layered with effects like delay and reverb, a steady drumbeat and sometimes pianos, violins and other orchestral instruments to create a sound that is often so emotive that you’ll find yourself crying without even realising. Mogwai: Glaswegian pioneers of the genre, Mogwai use post rock fused with droning soundscapes to create a plethora of different sounds. These guys have been around for the best part of 20 years now and still manage to captivate listeners. Overhead, The Albatross: An Irish band that just does it right. Incredibly intricate melodies are woven with violin and piano to craft something that is nothing short of breath-taking. They’re yet to release their debut album, but there’s a couple of EPs available to whet your appetite in the meantime. 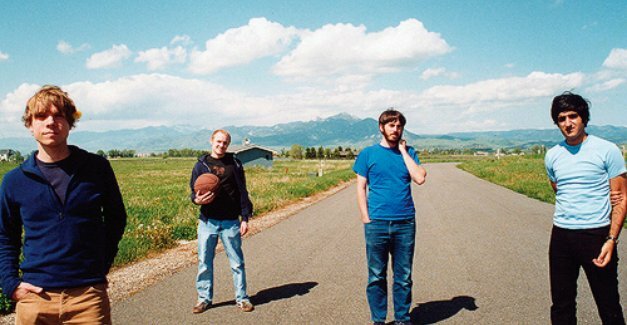 Explosions in the Sky: The aforementioned titans and one of the best known bands of the genre are a solid starting point for a post rock musical journey. The soaring crescendos and complex layering somehow manage to get more beautiful on every listen. Prepare yourself to be enthralled and held captive by what you’ll discover.